Source of title proper: Title based on descriptions provided by Lt. Col. Parker's grandson, Father Donald. 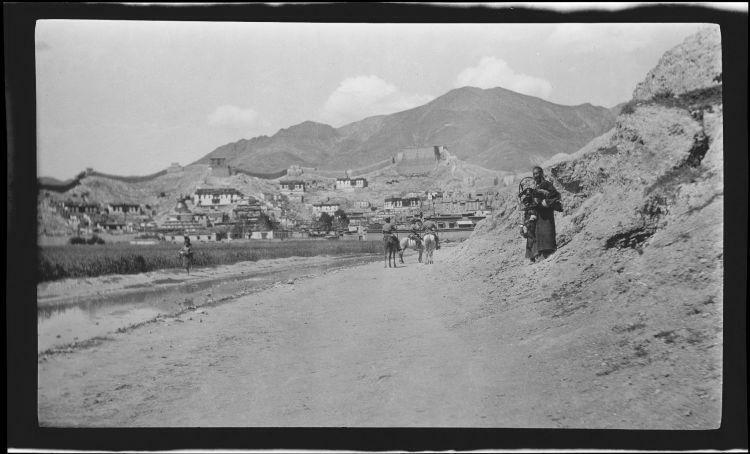 Item is a negative showing a head on look of the small village of Gyantse. There is a road in the forefront of the image where three 90th Punjabi soldiers walk ahead of a Tibetan solider on the right bank of the road. There are mountains in the background. Photograph available in print form in album A.